Report suggests political fallout from killing of Saudi dissident journalist could harm kingdom's unofficial ties with Israel. The internal political fallout over the murder of dissident Jamal Khashoggi may damage Saudi Arabia’s budding unofficial ties with Israel, The Wall Street Journal reported on Tuesday. The newspaper cited the dismissal of two senior advisers to Crown Prince Mohammed bin Salman who were intimately involved in forging ties between the two countries. Saudi Arabia does not maintain diplomatic relations with Israel, which has traditionally been portrayed as an enemy in the Arab monarchy’s state-controlled media. 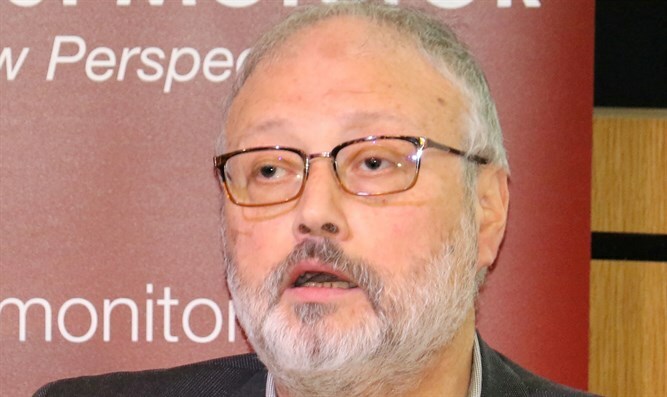 According to the Journal, court adviser Saud al-Qahtani and deputy intelligence chief Ahmed al-Assiri were implicated in the killing of Khashoggi, a Saudi expatriate who wrote a column for The Washington Post. The pair were reported to have been involved in efforts both to reach out to the Israelis and to shape domestic public opinion toward acceptance of warmer ties. Qahtani was reported to have been involved in efforts to purchase Israeli surveillance technology. Saudi dissident Omar Abdulaziz is currently suing Israeli firm NSO for allegedly selling Riyadh software used to hack his cellphone while he and Khashoggi were working on a project to motivate Saudi youth to fight the regime’s propaganda on social media. According to the suit, the Saudi regime’s discovery of that plan led to Khashoggi’s death. The political climate in Washington is growing increasingly hostile to the Saudis, with the U.S. Senate recently voting to blame bin Salman for Khashoggi’s murder. The pushback has caused the Saudis to reconsider embarking on any bold moves abroad, including a public rapprochement with Israel, sources told the Journal. Israeli Prime Minister Benjamin Netanyahu publicly supported Bin Salman after the Khashoggi murder and has been trumpeting Israel’s warming ties with the Gulf states for years. In defending his support for Bin Salman, President Donald Trump cited the effects of Saudi Arabia’s role in combating Iran on Israel as a justification for not condemning Riyadh.